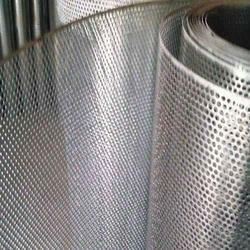 We are manufacturer of wide range of Perforated Sheets. We produce these using high quality raw materials and then sending these products for a series of quality checks. These quality sheets are reasonably priced and are highly demanded in the market. 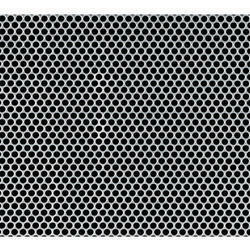 We being one of the leading manufacturers, produce high quality Micro Hole Perforated Sheet. The production of these involves using of high quality raw materials. Further these products are sent for a number of quality checks in order to provide the client optimum quality goods. These sheets are easy to install and have an attractive appearance. The material used in its production makes it very light weighted and durable. It is mainly used in mines, for noise elimination or for machine protection. 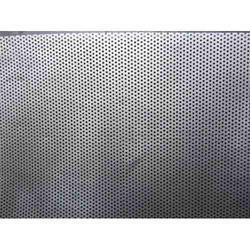 The materials used in the production of the Galvanized Perforated Metal Sheets are stainless steel, low carbon sheets, copper and aluminum plates. The materials used are of high quality and the products are even sent for a number of quality checks in order to provide our clients with optimum satisfaction. Galvanizing makes these products very strong and durable. These sheets are easy to install because of its light weight. These sheets are used for various purposes such as railway, resident, machines, electrical equipments etc. We provide these sheets in the market at competitive prices. 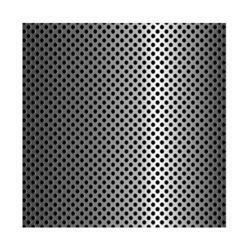 We are one of the leading producers of Round Hole SS 304 Perforated Sheets, produce them using a variety of stainless steel such as SS-304. These sheets have a very strong construction are corrosion resistant and very durable. These sheets have coating in order to make these sheets strong. We produce these sheets using high quality raw materials and even process them through a number of quality checks. These sheets are made available by us at very reasonable rates. Being one of the leading producers of the Mild Steel Perforated Sheets, we manufacture them using high quality raw materials only. These sheets are further sent for a number of quality checks in order to provide our clients optimum satisfaction. The low carbon steel, stainless steel or the copper plate used makes it strong, corrosion resistant and highly durable. These sheets have a flat and smooth surface. These sheets are widely used in mines, medicine, indoor sound insulation, silencers etc. These sheets are provided by us in the market at a very reasonable price. 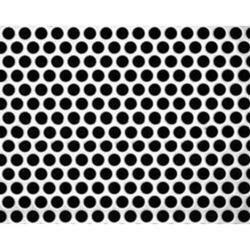 The Square Hole Perforated Sheet are manufactured using aluminium plates, stainless steel plates, carbon steel plates, or galvanized plates. These sheets are very easy to install and can be painted or polished. These sheets are very light weighted and durable.We being one of the largest manufacturers, produce these using high quality raw materials and then sending these products for a series of quality checks. These quality sheets are reasonably priced and are highly demanded in the market. The Protective Perforated Metal Sheets we produce have a strong construct. These sheets we produce are manufactured using high quality raw materials and are processed through a number of quality checks in order to provide our clients with high quality products. These sheets are highly galvanized in order to make them strong and in turn increase the protective factor. Various industries make use of these sheets to protect their doors, windows and ventilators. These sheets we manufacture are corrosion resistant and highly durable. We provide these sheets at a very reasonable price. 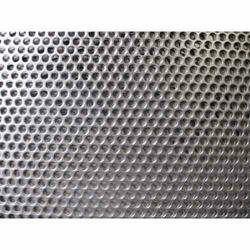 The SS 304 Perforated Sheets we produce find their usage in building walls, power stations etc. These sheets are very easy to install, or to be painted, polished or anodized. These sheets are strong, corrosion resistant and highly durable. Produced using high quality raw materials, these sheets are manufactured with accuracy of size. Being one of the market leaders, we consider it our priority to provide high quality goods and utmost satisfaction to our customers. Thus our products go through a number of quality checks. These sheets are provided by us in the market at market leading prices. Under the guidance of Mr. Pushkar Sharma and Mr. Manoj Sharma, we are committed to offer premium quality products. 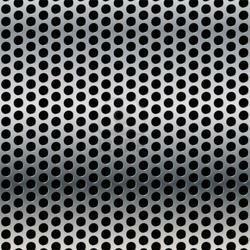 To mitigate the market demands, we are engaged in the manufacture and supply of a gamut of Perforated Sheets, Hole Perforated Sheet, Perforated Metal Sheets, Stainless Steel Perforated Sheets, Industrial Perforated Sheets, Aluminum Perforated Sheets and Mild Steel Perforated Sheets. With the earnest efforts of our capable team, we manage to bring forth quality assured products.